What is the size of US ecommerce sales (in $billions)? An Inflection Point in the Consumer Goods to Retail Supply Chain? The consumer goods to retail supply chain is arguably the most important one we have, given it directly touches end consumers. Regardless, it is certainly the most prominent. What are household names from a consumer perspective - companies like Walmart and Procter & Gamble and Nike and Macy's and many more - are prominent in the practice of supply chain as well. What's more, the sector gave rise over the course of many years to a number of noteworthy (if not always as successful as expected) initiatives such as Efficient Consumer Response (ECR), Quick Response, Continuous Replenishment, Collaborative Planning, Forecasting, and Replenishment (CPFR) and the EPC style of RFID. I believe this is part of a sea change in the consumer goods to retail supply chain that has major ramifications - a new mindset that likely will carry over far beyond Walmart and Target. Yet, for all of that, it has its oddities, the biggest one to me being the significant amount of variability long accepted on the supply side. There are a variety of aspects to this variability, and the dynamics vary between retail sectors for sure, but the two primary areas of supplier variability are naturally enough on-time delivery and fill rates. I'll be back to those two areas in a second, but will first note there is also a lot of variability in other areas as well, in everything from correct price ticketing (more of a "soft goods" thing) to advanced ship notice accuracy - the latter very important in much of retail. Along the way, the retailers themselves often do some unusual things from a supply chain efficiency perspective. In the late 1990s, SCDigest's materials handling editor Cliff Holste and I did some analysis for a Converse Shoes DC in North Carolina. One retail customer in effect required Converse to pick and stage a full order of products based on a sort of "order advice," but then regularly changed the real order substantially, causing Converse to have to do more picking and also put back some of the goods already staged, at huge costs. A friend of mine in consumer goods says here in 2016 communication from many retailers as to the retail price for the bar code tag comes so close to the ship date it is almost impossible to be on time without throwing lots of costly DC overtime into the mix. The key point is that compared with manufacturing, retailers have traditionally lived with a lot more variability on the supply side than manufacturers ever could. When I was working directly with consumer goods companies, again in the late 1990s, if memory serves me right many retailers were requiring that fill rates (measured different ways, but usually at the total cases level) had to be at least 80% of the PO, and shipments were supposed to arrive (or maybe even just be shipped) within as much as a 10-day window - neither exactly tight tolerances. I compare that to a visit I paid to an Ohio auto parts manufacturer a few years ago. When the Ford Motor Co. inbound truck stopped to pick up the order from that supplier (multiple orders from different vendors were on the same truck), if the parts weren't ready for loading, the truck simply pulled out (at high speed) and headed to the next stop or onto the assembly plant. The supplier that wasn't ready had to find a way to expedite getting the parts to the factory on-time at their own expense. Do that more than a few times and you would simply be replaced. Let's just say there hasn't been that type of thinking in the retail supply chain. Rather, retailers have simply put up with a significant amount of supply variability. They order 10,000 items from vendor A, and then find out how many that vendor actually shipped when the ASN is sent. Then if the fill rate is short, the retailer has to redo its store allocations based on what it now hopes is actually arriving (which may or may not be consistent with the ASN). Some may say that it is simply inevitable that variability will be high given the thousands of vendors a retailer may have, from huge to mom and pops. Others may note that soft goods, with all the variables (style, color, size), present some special challenges, and they are right there to an extent. And no question, retailers have caused much of their own supplier variability by "Bullwhip type" order patterns. Finally, over the years, there has in fact been some tightening in the fill rate and on-time requirements. However, I also think it is very fair to say that there simply has not been a "reduce supply variability" mindset on the part of the majority of retailers. It has simply been the way it's been for a long time. And most retailers have consoled themselves with the "chargeback" to vendors - fines for missing fill rates or late deliveries or bad ASNs - as a substitute of sorts for reducing variability. The reality is few retailers actually measure variability, even if they do give vendors a grade on on things like on-time. But is the status quo changing? A major regional grocery chain has about finished rolling out a highly integrated store-level planning system - among the most comprehensive that has been deployed by any retailer to date (most of it from JDA). Now that it has leaned out its own store-level inventory and replenishment planning approach, where is the inventory risk? "Vendor failure," it says. 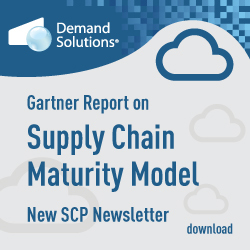 Now when a vendor shipment is late or the fill rate is less than 100%, the chance of an out-of-stock rises versus the previous approach, which had a lot more buffers - and the grocer is deploying a vendor compliance program not common in the grocery sector to reduce that potential vendor variability. More consequentially, Walmart and Target, two of the heaviest retail hitters we have, now seem focused on reducing supply chain variability. The Wall Street Journal recently reported that "Target is taking aim at "stock-outs," those dreaded moments when a toy, clothing or electronics that a customer wants isn't on the shelf, by tightening its inbound distribution schedule. Reducing "variability" in its distribution centers, especially when scheduling deliveries, is a key step toward reducing stock-outs, company executives recently told Wall Street analysts." Target COO John Mulligan recently said that "An unacceptable number of vendor shipments were received by our DCs either too early or too late,", adding that "We have been collaborating with our vendors to increase the percent of shipments that arrive on the correct date and we have already seen meaningful progress." Mulligan added that that the percent of shipments that arrive on time has more than doubled and that Target expects to see additional improvement as it rolls out new processes to additional vendors over time. By the way, the on-time improvement has enabled Target to reduce out of stocks at its stores by more than 50% in the past six months or so. Meanwhile, in a recent blog post for vendors, Walmart said it was reducing the window for which a shipment is considered on time from the current four days to just two, starting in February 2017. In addition, the fill rate requirement is being raised from 90% to 95%, measured at the case fill level. While Walmart was relatively late to the vendor chargeback game, and didn't fine vendors at all for late shipments until just a few years ago, far later than most other large retailers, for some time it has charged a substantial 3% of the full invoice to non-compliant shipments. Now the requirements are even higher. Watch out! I've rambled on here long enough that what I thought would be one column can nicely be turned into two. Expect the conclusion in a few weeks. I don't know that retailers need Lean Six Sigma - but maybe so. Regardless, I am encouraged a few leaders it appears are jumping on the reducing variability band wagon. Much of the rest of the supply chain welcomes you. More soon. Would love your comments. What's your reaction to Gilmore's column? Why have retailers lived with high variability for so long? Are Target and Walmart ushering in a new era? Let us know your thoughts at the Feedback button below. Q: What is the size of US ecommerce sales (in $billions)? A: About $97 billion in Q2, according to the Commerce Dept., once again up over 15% from 2015, and on an annual pace to go well above $400 billion for the year.